For the song, see Sharm El Sheikh (song). Sharm El Sheikh (Egyptian Arabic: شرم الشيخ‎, IPA: [ˈʃɑɾm eʃˈʃeːx]) is an Egyptian city on the southern tip of the Sinai Peninsula, in South Sinai Governorate, on the coastal strip along the Red Sea. Its population is approximately 73,000 as of 2015[update]. Sharm El Sheikh is the administrative hub of Egypt's South Sinai Governorate, which includes the smaller coastal towns of Dahab and Nuweiba as well as the mountainous interior, St. Catherine and Mount Sinai. The city and holiday resort is a significant centre for tourism in Egypt, while also attracting many international conferences and diplomatic meetings. Sharm El Sheikh (meaning "Bay of the Sheikh") is also known as the "City of Peace; Egyptian Arabic: Madinet El Salam", referring to the large number of international peace conferences that have been held there. It was known as Şarm-üş Şeyh during Ottoman rule, and as Ofira during Israeli occupation of the Egyptian territory between 1967 and 1982. Among Egyptians and many visitors, the name of the city is commonly shortened to "Sharm" (Egyptian Arabic: [ʃɑɾm]), which is its common name in the Egyptian slang. The name is also sometimes written as Sharm el-Cheikh, Sharm el-Sheik in English. Sharm El Sheikh is located on the Egyptian Red Sea coast, at the southern tip of the Sinai Peninsula. Sharm El Sheikh is on a promontory overlooking the Straits of Tiran at the mouth of the Gulf of Aqaba. Its strategic importance led to its transformation from a fishing village into a major port and naval base for the Egyptian Navy. It was occupied by Israel during the Suez Crisis of 1956 and restored to Egypt in 1957. A United Nations peacekeeping force was subsequently stationed there until the 1967 Six-Day War when it was recaptured by Israel. Sharm El Sheikh remained under Israeli control until the Sinai peninsula was restored again to Egypt in 1982 after the Egypt–Israel Peace Treaty of 1979. A hierarchical planning approach was adopted for the Gulf of Aqaba, whereby their components were evaluated and subdivided into zones, cities and centers. In accordance with this approach, the Gulf of Aqaba zone was subdivided into four cities: Taba, Nuweiba, Dahab and Sharm El Sheikh. Sharm El Sheikh city has been subdivided into five homogeneous centers, namely Nabq, Ras Nusrani, Naama Bay, Umm Sid and Sharm El Maya. Before 1967, Sharm El Sheikh was little more than an occasional base of operations for local fishermen; the nearest permanent settlement was in Nabk, north of Ras El Nasrani ("The Tiran Straits"). Commercial development of the area began when the Israelis built the town of Ofira, overlooking Sharm El Maya Bay and the Nesima area, and opened the first tourist-oriented establishments in the area 6km north at Naama Bay. These included a marina hotel on the southern side of the bay, a nature field school on the northern side, diving clubs, a now well-known promenade, and the Naama Bay Hotel. The site off the shore gun emplacements at Ras Nasrani opposite Tiran Island is now a diving area. After Sinai was restored to Egypt in 1982, the Egyptian government embarked on an initiative to encourage the continued development of the city which is now an international tourist destination. Foreign investors – some of whom had discovered the potential of the locality during the Israeli occupation – contributed to a spate of building projects. Environmental zoning laws currently limit the height of buildings in Sharm El Sheikh so as to avoid obscuring the natural beauty of the surroundings. In 2005, the resort was hit by the Sharm El Sheikh terrorist attacks, which were perpetrated by an extremist Islamist organisation targeting Egypt's tourist industry. Eighty-eight people were killed, the majority of them Egyptians, and over 200 were wounded by the attack, making it the second deadliest terrorist attack in the country's history. The deadliest terrorist attack took place in Sinai when Militants detonated a bomb inside a crowded mosque in the Sinai Peninsula on Friday and then sprayed gunfire on panicked worshipers as they fled, killing at least 305 people and wounding at least 128 others.https://www.nytimes.com/2017/11/24/world/middleeast/mosque-attack-egypt.html The third deadliest was the Luxor massacre of 1997). The city has hosted a number of important Middle Eastern peace conferences, including 2010 Israeli-Palestinian direct talks. The city has played host to a number of important Middle Eastern peace conferences, including the 4 September 1999 agreement to restore Palestinian self-rule over the Gaza Strip. A second summit was held at Sharm on 17 October 2000 following the outbreak of the second Palestinian intifada, but it failed to end the violence. A summit was held in the city on 3 August 2005 on developments in the Arab world, such as the situation in the Arab–Israeli conflict. Again in 2007, an important ministerial meeting took place in Sharm, where dignitaries discussed Iraqi reconstruction. The World Economic Forum on the Middle East was also hosted by Sharm el-Sheikh in 2006 and 2008. Amidst the 2011 Egyptian protests, President Hosni Mubarak reportedly went to Sharm El Sheikh and resigned there on 11 February 2011. The city experiences a subtropical arid climate, classified by the Köppen-Geiger system as hot desert (BWh). Temperatures are just short of a tropical climate. Typical temperatures range from 18 to 23 °C (64 to 73 °F) in January and 33 to 37 °C (91 to 99 °F) in August. The temperature of the Red Sea in this region ranges from 21 to 28 °C (70 to 82 °F) over the course of the year. Marsa Alam, Kosseir and Sharm El Sheikh have the warmest winter night temperatures of cities and resorts in Egypt. The highest recorded temperature was 46 °C (115 °F) on June 2, 2013, and the lowest recorded temperature was 5 °C (41 °F) on February 23, 2000. SOHO Square Sharm El Sheikh. Sharm El Sheikh was formerly a port, but commercial shipping has been greatly reduced as the result of strict environmental laws introduced in the 1990s. 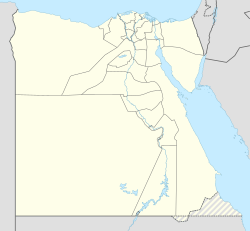 Until 1982, there was only a military port in Sharm El Sheikh, on the northern part of Marsa Bareka. The civilian port development started in the mid-1980s, when the Sharem-al-Maya Bay became the city's main yacht and service port. Sharm El Sheikh's major industry is foreign and domestic tourism, owing to its dramatic landscape, year-round dry climate with long hot summers and warm winters as well as long stretches of natural beaches. Its waters are clear and calm for most of the year and have become popular for various watersports, particularly recreational scuba diving and snorkeling. There is great scope for scientific tourism with diversity in marine life species; 250 different coral reefs and 1000 species of fish. These natural resources, together with its proximity to European tourism markets, have stimulated the rapid growth of tourism that the region is currently experiencing. The total number of resorts increased from three in 1982 to ninety-one in 2000. Guest nights also increased in that period from sixteen thousand to 5.1 million. Companies that have been attracted to invest in this city include Hyatt Regency, Accor, Marriott, Le Méridien, Four Seasons, and Ritz-Carlton, with categories of three to five stars. In 2007, the area saw the opening of its first aqua park hotel resort. The four-star Aqua Blu Sharm Resort was built on the Ras Om El Seid, with an area of 133,905 square metres (1,441,340 sq ft). Sharm is also the home of a congress center, located along Peace Road, where many international political and economic meetings have been held, including peace conferences, ministerial meetings, world bank meetings, and Arab League meetings. The Maritim Sharm El Sheikh International Congress Centre can host events and congresses for up to 4,700 participants. The nightlife of Sharm El Sheikh is modern and developed. The colorful handicraft stands of the local Bedouin culture are a popular attraction. Ras Mohammed, at the southernmost tip of the peninsula, has been designated a national park, serving to protect the area's wildlife as well as its natural landscape, shoreline and coral reef. A number of international hotels and noted restaurants are clustered around the centre of Sharm, known as Naama Bay, with golf courses and other leisure facilities further up the coast. The Nabq Managed Resource Protected Area is a 600-square-kilometre (230 sq mi) area of mangroves, coral reefs, fertile dunes, birds and wildlife. Nationals from the EU and the US do not require a visa for travel to Sharm El Sheikh if the visit is for fourteen days or less, although those travelling outside the Sinai area may still require a visa, which is purchasable for a small fee on arrival. Visitors must be aware that upon first entering the airport after landing, they will most likely be ushered into a queue to buy a visa. Flight Metrojet Flight 9268 crashed on October 31 due to a terrorist incident, 2015 while flying from Sharm El Sheikh to Saint Petersburg. This caused the repatriation of British and Russian tourists from November 5, 2015. In November 2015, hotels in Sharm El Sheikh including the Savoy and Hilton Sharm Waterfalls Resort were still known to be using fake bomb detectors such as the ADE 651 to protect guests. Lampposts on El Salaam Street use solar power. Taxis and buses are numbered for safety. Sharm's marina has been redeveloped for private yachts and sailing boats, with a passenger terminal for cruise ships. The city is served by Sharm El Sheikh International Airport, the third largest airport in Egypt. Sharm has frequent coach services to Cairo leaving from the Delta Sharm bus station. Sharm El Sheikh has also become a favourite spot for scuba divers from around the world. Being situated near the Red Sea, it provides some of the most stunning underwater scenery and warm water, making this an ideal place to dive. Visitors to Sharm El Sheikh can experience a variety of water activities. Beach seekers find many activities such as diving, snorkelling, windsurfing, kitesurfing, para-sailing, boating, and canoeing. Ras Mohammed National Park is located at the most southerly tip of the Sinai Peninsula where the waters of the Red Sea and Gulf of Suez meet. This is home to diverse marine life and with walls plunging to over 800m in depth, the wreckage of the Yolanda including toilets & Baths along with strong currents it is not surprising that it ranks within the best areas worldwide. The Straits of Tiran are located at the base of the Gulf of Aqaba and in a major shipping channel. There are four reefs all named after the British Cartographers who first mapped them: Gordan, Thomas, Woodhouse and Jackson. In summer months at the back of Jackson divers search to see groups of schooling hammerheads. The Sharm El Sheikh Hyperbaric Medical Center was founded in 1993 (with a grant from USAID) by the Egyptian Ministry of Tourism, represented by Dr. Adel Taher, to assist with diving-related illnesses and complete the area's reputation as a full-service dive destination. On 1 December 2010, four tourists − three Russians and a Ukrainian − were attacked and injured by an oceanic whitetip shark or sharks in three separate incidents off Sharm El Sheikh. One victim lost a leg, and another an arm. The Egyptian authorities subsequently claimed that the shark responsible for the attacks had been captured alive, but the identification was disputed by the diving industry, based on eyewitness and photographic evidence. Four days later, on 5 December, an elderly German woman was attacked and killed by a shark while snorkelling at the resort. After the closure of many flights to the destination the coral reefs have had a reduced number of divers. Changes in corals and more obviously the marine life are very positive. ^ Al-Mukhtar, Rima (23 November 2012). "Sharm El-Sheikh, city of peace". Arab News. Retrieved 23 May 2018. ^ The Jewish Agency's Digest of Press and Events Jewish Agency for Israel - 1956 Egyptian Blockade The point on the south-eastern coast of Sinai directly facing Tiran is known as Ras Nasrani." ^ Kenes Ha-shenati - Page 50 Ḥevrah ha-geʼologit ha-Yiśreʼelit. Kenes - 1982 "Between Eilat and Ras Nasrani, only about 55-60 such baylets are distributed along some 200 km of coast (1 per 3-31/2 km). Between Ras Nasrani and Ras Muhanmad, some 35 baylets line 40 km of coast (1 per 1 km), with even greater .."
^ "Sharm el-Sheikh Conference on Iraq Offers US Interaction with Countries in the Region". Voice of America. May 11, 2007. Archived from the original on 2 July 2011. Retrieved 10 November 2011. ^ "World Economic Forum opens in Egypt". China Daily. 2006-05-22. Archived from the original on 2013-06-08. ^ "Mubarak REALLY does step down after 18 days of protests and hands power to the military". The Daily Mail. London. 12 February 2011. Archived from the original on 15 February 2011. Retrieved 2011-02-11. ^ "Climate: Sharm el-Sheikh - Climate graph, Temperature graph, Climate table". Climate-Data.org. Archived from the original on 5 November 2013. Retrieved 17 August 2013. ^ "Sharm el-Sheikh Climate and Weather Averages". Weather2Travel. Archived from the original on 15 October 2013. Retrieved 13 August 2013. ^ a b "Sharm el-Shekh". Voodoo Skies. Archived from the original on 27 December 2013. Retrieved 9 July 2013. ^ "World Weather Information Service - Sharm El-Sheikh". World Meteorological Organization. Archived from the original on 15 August 2012. Retrieved 17 August 2012. ^ "Ras Nsrany (Sharm el-Sheikh International Airport) Climate Normals 1961–1990". National Oceanic and Atmospheric Administration. Retrieved January 17, 2016. ^ a b "Sharm El-Sheikh, Egypt - Climate data". Weather Atlas. Retrieved 15 March 2017. ^ "Monthly Sharm El Sheikh water temperature chart". Seatemperature.org. Archived from the original on 2014-09-01. Retrieved 2014-01-20. ^ "Sinai - Nabq Managed Resource". geographia.com. Archived from the original on 2010-07-10. ^ "Egyptian Consulate visa requirements". Archived from the original on 2012-02-01. Retrieved 2012-02-07. ^ "The insider threat to airport security is becoming a global problem". 24 May 2016. ^ "Stranded Brits in Sharm to fly home". 6 November 2015. Archived from the original on 8 November 2015 – via www.bbc.co.uk. ^ "Fake bomb detectors used to protect Sharm Britons". Archived from the original on 2016-09-18. ^ "World Diving Review: Scuba Diving in Sharm El Sheikh". Archived from the original on 2013-02-03. ^ "Shark attacks three tourists in Sharm El Sheikh, Egypt". BBC News. Archived from the original on 2010-12-06. ^ "Egypt shark attack: Conflicting capture claims". BBC News. Archived from the original on 2010-12-05. ^ "Shark attack kills German tourist at resort in Egypt". BBC News. Archived from the original on 2010-12-10. ^ "Sharm, Aqaba sign twin-town agreement, 16. Dezember 2015". Arab Today. ^ Globetrotter19 (7 October 2017). "English:". Archived from the original on 29 December 2016 – via Wikimedia Commons. This page was last edited on 15 April 2019, at 14:33 (UTC).